Thanks for starting your real estate search with us. 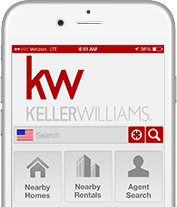 This website is accessible on any device and is a one-stop resource for buying and selling homes. Whether you are buying your first home, investing, downsizing, or scaling up, we’d love to hear about your plans and goals and discuss how we can help you achieve them. We appreciate the opportunity to earn your business!